Whilst such a project had been discussed many times, the announcement was something of a surprise as the band had, ostensibly, moved on to other projects following the conclusion of the Cast In Steel tour. 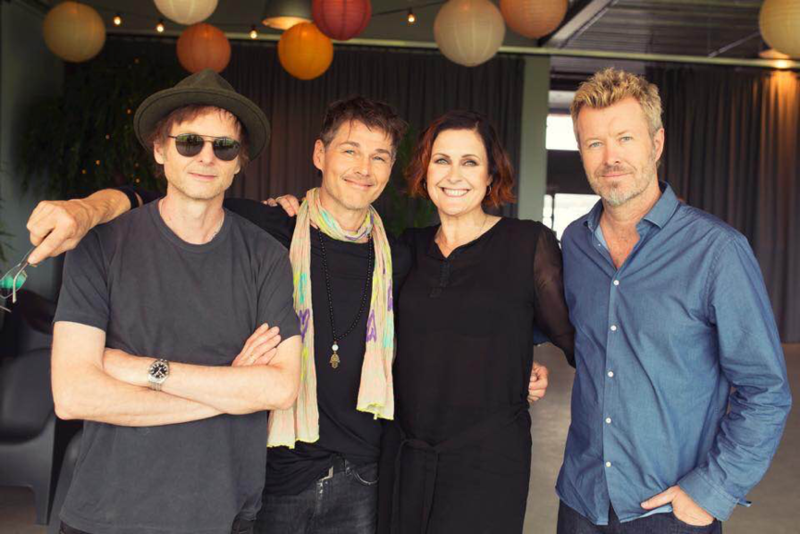 Paul Waaktaar-Savoy had signed a new recording deal with Drabant Music, debuting ‘Beautiful Burnout’ (the first single from World Of Trouble, his upcoming album with Zoe Gnecco) in September 2016. Plans were also in place to release another Savoy album (the long-awaited follow-up to 2007’s Songbook collection). However, the band had already come out of retirement once (following the Ending On A High Note tour in 2010) and, despite the fact that a-ha’s return was a temporary one (Cast In Steel was originally touted as two-year project), fans were well used to expecting the unexpected. Of course, many of a-ha’s contemporaries – particularly from the 1980s – have dabbled with the acoustic format. Spandau Ballet used their Once More album as a springboard for their 2009 comeback; Erasure re-interpreted many of their well-known songs in acoustic versions on their 2006 album Union Street, while Nik Kershaw utilised the format to great effect on his 2010 album No Frills. In a concert setting, the likes of Midge Ure, China Crisis (see the Acoustically Yours album) and Howard Jones (see Live Acoustic America) have all enjoyed some success by employing a more stripped-back approach. And then there are the rock veterans Status Quo, whose recent Aquostic albums and shows have reinvigorated – and extended – the band’s career. The subsequent MTV re-branding this year – from a historical viewpoint at least – makes sense. Whilst they never performed an MTV Unplugged set during the programme’s heyday, a-ha’s initial flurry of success in the USA was largely down to the exposure the MTV network gave their iconic video for ‘Take On Me’, eventually propelling it to the top of the Billboard charts (the band also won several awards at the MTV Video Music Awards in September 1986). The MTV Unplugged shows that came to prominence in the early 1990s featured an array of both established and contemporary acts. Rock and pop luminaries such as Eric Clapton, Paul McCartney, Bruce Springsteen and Rod Stewart certainly benefitted from the wider exposure of their back catalogues, racking up some best-selling – and sometimes award-winning – albums along the way. At the height of their popularity in 1993, Nirvana recorded an acoustic set in New York that, arguably, rates as one of their finest albums. Since 2000, the show’s popularity has tailed off and the number of performances has been somewhat more sporadic, but recent performances by Shawn Mendes – and now a-ha – have given the show a new lease of life. Tapping into the band’s progressive rock past was 37-year old producer and multi-instrumentalist Lars Horntveth, who had already worked with the band on string arrangements for 2015’s Cast In Steel album. A former Spellemannprisen award-winner, Horntveth had gained a good reputation as a producer, helming albums for artists such as Susanne Sundfør (including 2010’s The Brothel). In addition to his work with the Norwegian rock band, The National Bank, Horntveth has recorded several albums with experimental jazz outfit, Jaga Jazzist; with one of them (A Livingroom Hush) receiving some favourable attentions from the BBC in 2002 (“It’s the mix of 21st century texture, intelligent jazz writing and improvisational concision that makes this one of the most enjoyable records of this (or any other) year”). For the Summer Solstice project, Horntveth assembled a band that included bass player – and fellow Jaga Jazzist member – Even Ormestad, plus Morten Qvenild from The National Bank, musicians that were familiar to a-ha via the recording of Cast In Steel and its subsequent tour (more recently, Ormestad has played on Anneli Drecker’s highly rated new album, Revelation For Personal Use). 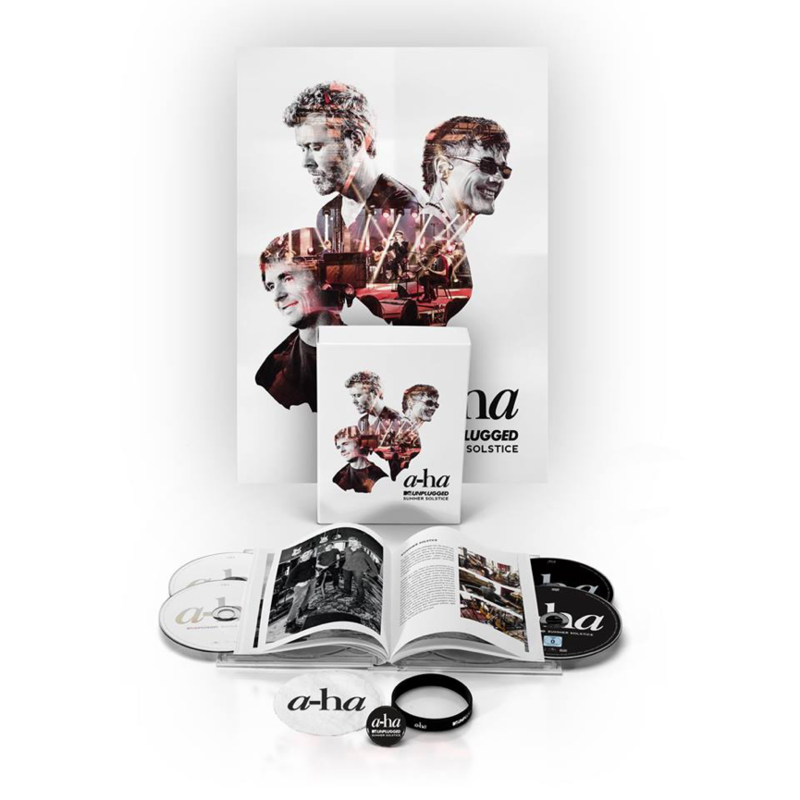 Elsewhere, drummer Karl Oluf Wennerberg has been involved with a-ha since Foot Of The Mountain, and has also played on Morten Harket’s Out Of My Hands album. Completing the line-up was a string section comprising Madeleine Ossum, Emilie Heldahl Lidsheim and Tove Margrethe Erikstad. Horntveth spent several months working on prospective arrangements for the show’s concerts but, due to his touring commitments with Jaga Jazzist, the number of shows was whittled down from four to two. Whilst the scheduling problem was rectified reasonably easily, choosing a venue for the brace of shows wasn’t so straightforward. “I wanted to build up a whole TV studio near London, but the band didn’t want that,” the band’s manager Harald Wiik told Aftenposten. “They wanted to go to the Amazon or the Brazilian city of Belém, but that proved to be too difficult. Then Magne figured we could do something ‘Norwegian’, inside a stave church, but that would be too small – although Morten suggested we solved the problem by simply using the mannequins from the ‘Sun Always Shines On TV’ video as our audience!” Eventually the band settled with Giske, a remote island in the Sunnmøre district of Møre og Romsdal in Western Norway. Following some preliminary sessions, the band resumed rehearsals at the island’s state-of-the-art studio, Ocean Sound Recordings (a facility that Scottish band Travis used to record their 2013 album, Where You Stand), while the nearby Øygardshallen venue would provide the setting for the actual shows on the 22nd and 23rd June. What is initially impressive, following a first run-through of the set, is not only the high level of musicianship, but also some of the adventurous – and often sonically challenging – new arrangements. Of the two new songs, set opener ‘This Is Our Home’ stands out the most. Penned by Furuholmen, the beautiful piano-driven piece utilizes a simple chord progression, and its “This is our home/ This is where we belong refrain perfectly encapsulates the spirit of the show. Waaktaar-Savoy’s country-tinged ‘Break In The Clouds’ is less immediate, but nevertheless impresses with its blend of harpsichord, pedal steel guitar and strings. True to the spirit of the original MTV Unplugged shows, the band introduce a number of musical guests; a mixture of influential artists and younger, more contemporary performers. Introduced by Furuholmen as “An American with Swedish genes”, Lissie is a Rock Island-born singer who, in addition to working with the likes of Robbie Williams and Snow Patrol, has released three solo albums to date. No stranger to performing cover versions (check out her version of Fleetwood Mac’s ‘Go Your Own Way’), Lissie certainly impresses on a duet of ‘I’ve Been Losing You’. Ingrid Helene Håvik, who trades vocals with Harket on an epic version of ‘The Sun Always Shines On TV’, is a more local talent, based in the nearby town of Ålesund. A regular user of the recording facilities of Ocean Sound Recordings, Håvik has released one album as solo artist, but is better known as a member of the Spellemannprisen award-winning indie rock band Highasakite (their Silent Treatment album reached number one in Norway, and spent an impressive 120 weeks in the charts). During Ian McCulloch’s introduction, Furuholmen mentions the impact that Echo and the Bunnymen had on the development of a-ha’s sound in the early 1980s (“we modernised our sound because of these guys”), citing the Heaven Up Here album as a key influence. The charismatic singer performs two songs with the band, beginning with ‘Scoundrel Days’; its sombre tones a perfect fit for McCulloch’s mournful voice. Whilst the Bunnymen’s third album Ocean Rain didn’t quite live up to its billing in press advertisements as ‘The Greatest Album Ever Made’, there’s certainly a case for ‘The Killing Moon’ being one of the greatest songs of that decade. The band duly perform the classic track, one of the highlights of the set. Another influential band during a-ha’s formative years was Yazoo, whose combination of melodic synth-pop and soulful vocals appealed greatly to the fledgling band. Singer Alison Moyet is the final guest of the show and performs a fine version of ‘Summer Moved On’ (in a slightly lower key). The only disappointment is the glaring continuity error, as the song was clearly performed earlier in the day. Another standout performance is ‘Sox Of The Fox’. Previously known as ‘The Vacant’, the song originally appeared on the rare Bridges album Fakkeltog, and was sung by Waaktaar-Savoy in a style that evoked both Jim Morrison and Scott Walker. Harket tells the 300-strong audience that he’d been ‘pestering’ his bandmates to do the song for over 30 years, and the new version – which faithfully mirrors the original arrangement – provides one of the set’s thrilling moments. Also stemming from the Bridges period is ‘This Alone Is Love’, with part of its lyric being recycled from two Fakkeltog songs. Ingeniously arranged with a jazz-like 11/8 time signature, the rarely-played track features some infectious harpsichord and an effective oboe solo from Horntveth. Other highlights include the Furuholmen classic ‘Lifelines’, which is rearranged so that the spine-tingling “one chance to get back to the point where everything starts” lyric is pleasingly introduced into the song earlier than its studio counterpart; ‘Over The Treetops’, another rarely played song, includes some lovely harmony vocals and 12-string guitar playing, and then there’s ‘Living A Boy’s Adventure Tale’, which includes a stunning vocal from Harket. It is evident, however, that there are some tracks that work better than others (the versions of ‘Analogue’ and ‘Foot Of The Mountain’ feel a little leaden and plodding), but it’s largely a crowd-pleasing set. Main photo by Just Loomis.